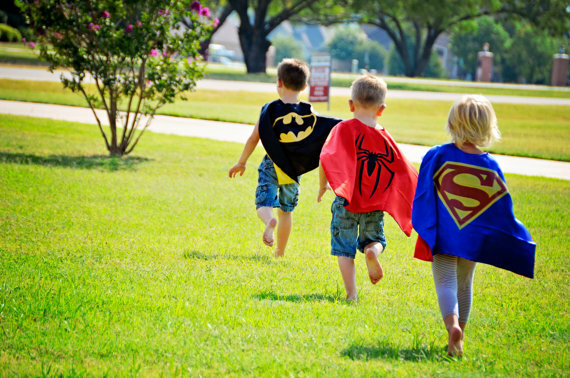 These superhero cape party packs provide you a discount for buying in bulk. We have Party Pack of 15, 20, 30, 50. Our superhero capes are READY TO SHIP items and ship out within 1-2 business days so you'll get it FAST!!! All superhero capes made with high quality satin, this is a double sided, vibrant 2-color Superhero cape with a heat transferred logo. These are Child Sized, ONE SIZE FITS MOST Capes. Capes measure approximately 25" from the neck to bottom hem. 15 set - Party Pack - Superher.. 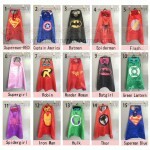 This listing is for 15 x Double Sided Superhero Capes with Felt Masks as shown! DHL EXPRESS SHIPPIN..
20 set - Party Pack - Superher.. 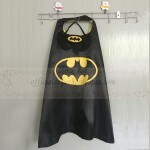 This listing is for 20 x Double Sided Superhero Capes with Felt Masks as shown! DHL EXPRESS SHIPPIN..
30 set - Party Pack - Superher.. 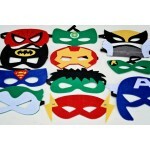 This listing is for 30 x Double Sided Superhero Capes with Felt Masks as shown! DHL EXPRESS SHIPPIN..
50 set - Party Pack - Superher.. This listing is for 50 x Double Sided Superhero Capes with Felt Masks as shown! DHL EXPRESS SHIPPIN..
15 set - Party Pack - Kids Pla.. This listing is for 15 x Plain Double Sided Satin Capes with OPTIONAL co-ordinating Felt Masks as sh..
20 set - Party Pack - Kids Pla.. This listing is for 20 x Plain Double Sided Satin Capes with OPTIONAL co-ordinating Felt Masks as sh..
30 set - Party Pack - Kids Pla.. This listing is for 30 x Plain Double Sided Satin Capes with OPTIONAL co-ordinating Felt Masks as sh..
50 set - Party Pack - Kids Pla.. 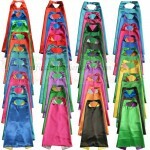 This listing is for 50 x Plain Double Sided Satin Capes with OPTIONAL co-ordinating Felt Masks as sh.. Kids Felt Masks - Choose from ..
+++++++ MASK Features +++++++ 1) MASK made of FELT 2) Fit for 3 to 10 years kids DHL EXPRESS SH..